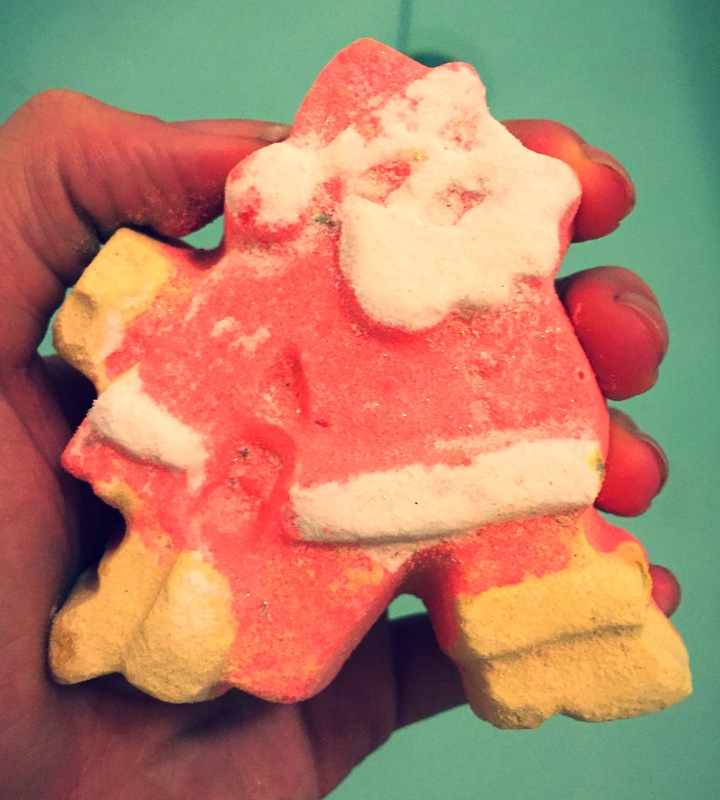 There is nothing more Christmassy than a little Santa shaped bath bomb. I was very pleased to see the dashing Santa bath bomb back this year as I just can’t get enough of it uber cute design. Although it is a little smaller than your average bath bomb it’s quirky and slightly different design really makes it stand out from the crowd. The dashing Santa bath bomb has a lovely subtle sweet citrus scent. It’s isn’t as sharp and in your face as some of the other citrus products that lush have to offer. Featuring mandarin oil and bergamot and orange flower absolute. 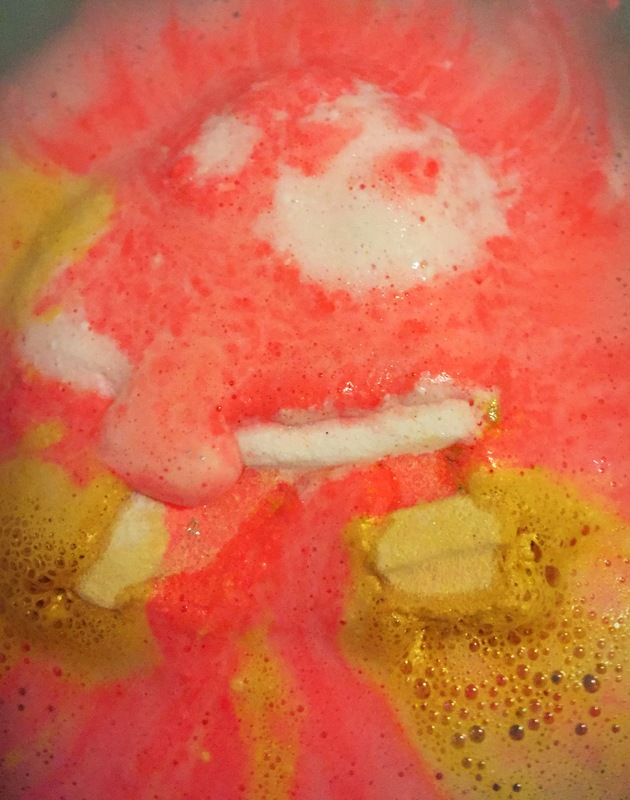 The dashing Santa bath bomb has quite a prominent orange scent which creates a very uplifting aroma. Although called ‘dashing’ Santa. This bath bomb takes ages to fully dissolved and is a very slow fizzer. Once popped in the water is slowly starts to create a red and gold foam all over the surface of the water. As the bath bomb slowly dissolved it also creates very pretty white swirls of foam. 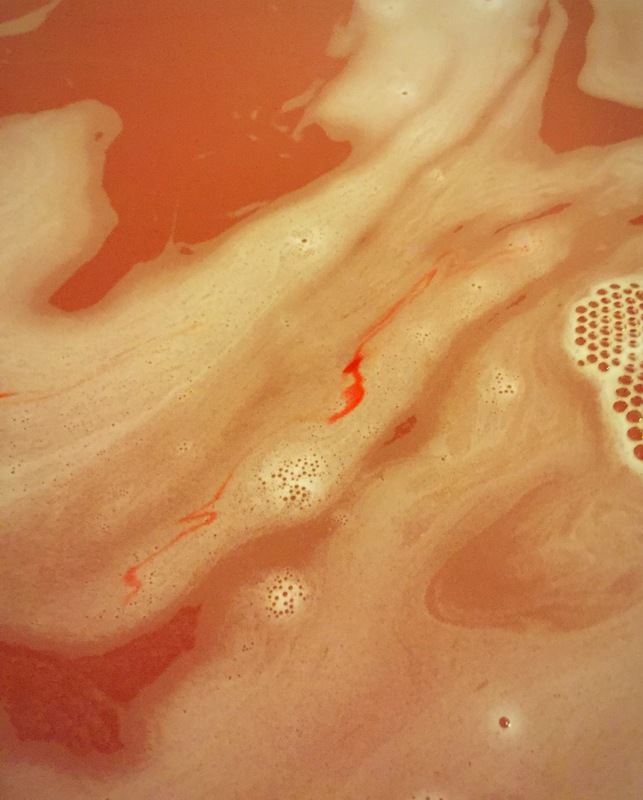 I love how the dashing Santa bath bomb creates a very Christmassy red coloured water once the foam has dispersed. Overall this may not be my no1 go to product but it is definitely one that I am glad to see back this year as I just can’t get enough of its lovely uplifting scent. Ingredients- Sodium Bicarbonate, Citric Acid, Cream of Tartar, Titanium Dioxide, Mandarin Oil, Bergamot Oil, Orange Flower Absolute, Water (Aqua), Perfume, Sodium Laureth Sulfate, Lauryl Betaine, Hydroxycitronellal, Limonene, Linalool, Snowflake Lustre, Radiant Gold Lustre, Colour 14700.
ooh, it looks so good! I really want to go and get some lush stuff soon! Omg I live bath bombs.